Nipah outbreak has created havoc in Kerala. The State Healthcare department is taking all measures to contain the virus which has officially taken lives of four people till now. The Central Government has also sent a team to take stock of the situation and assured all support to the State Government. Very few of us have the idea about this mysterious virus. 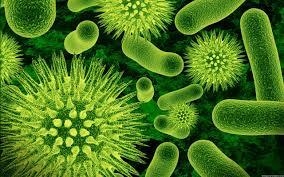 To prevent ourselves from worst situation, we should have all the details about this virus i.e how it spreads, what are the symptoms, how to protect ourselves etc. 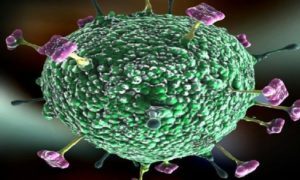 According to World Health Organisation, Nipah virus (NiV) infection is a newly emerging zoonosis that causes severe disease in both animals and humans. The natural host of the virus is fruit bats of the Pteropodidae Family. It was initially isolated and identified in 1999 during an outbreak of encephalitis and respiratory illness among pig farmers and people with close contact with pigs in Malaysia and Singapore. Its name originated from Sungai Nipah, a village in the Malaysian Peninsula where pig farmers became ill with encephalitis. The virus is transmitted through infected bats and pigs. It also spreads from humans who already have Nipah virus infection. People who are working with pigs and consuming pigs are at high risk. In 2004, humans became infected with NiV as a result of consuming date palm sap that had been contaminated by infected fruit bats. The Initial symptoms are headache, fever muscle pain, nausea and vomiting. Neck rigidity and photophobia are also seen in people infected with the virus. If such patients are not attended well, these symptoms can even cause a coma in a span of 24-48 hours. The symptoms last for 7-10 days. National institute of Virology, Pune adopts ELISA method to confirm the infection. There is no vaccine available for either humans or animals till now. The primary treatment for human cases is intensive supportive care. What precautions one should take? One should avoid direct contact with infected pigs, bats and humans. Personal hygiene should be maintained. Intensive hand washing practices should be practiced. One should also avoid consuming date palm and raw fruits for some time. Health professionals who are attending infected persons should wear masks and gloves.